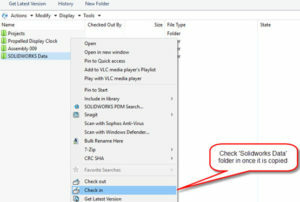 Copy the toolbox folder (Solidworks Data by default) to the vault folder in your local view. Once added, check it in. 2. a) Go to the administration tool, login into your vault (make sure you have ‘Can update Toolbox Settings’ administrative permission), double-click on Toolbox item and a dialog box would pop up. 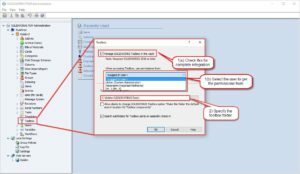 b) In the dialog box, check the option to ‘Manage Solidworks Toolbox in the vault’. Next, select the user PDM will get permission from when accessing Toolbox components. c) Finally, specify the Toolbox root folder. Click ‘ok’. 3. 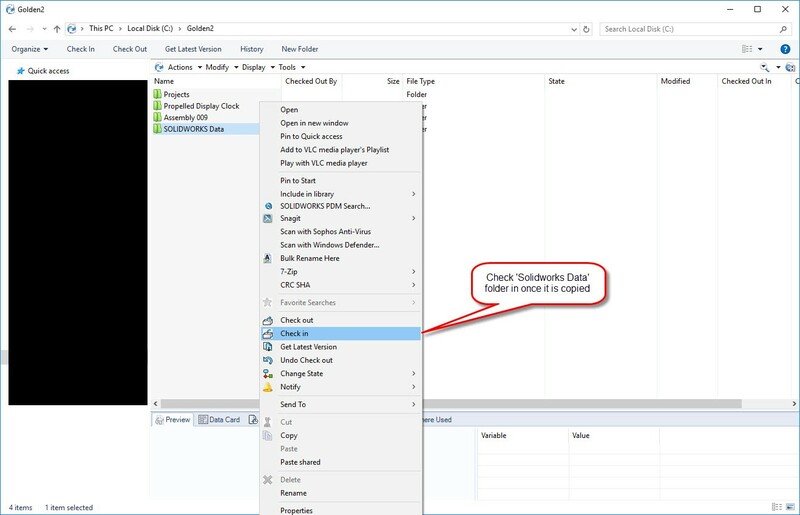 Finally, go to Solidworks>System Options> Hole Wizard/Toolbox and specify the Toolbox folder in the vault. Click okay twice. 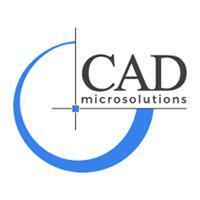 Your Solidworks PDM is now configured to manage Toolbox. 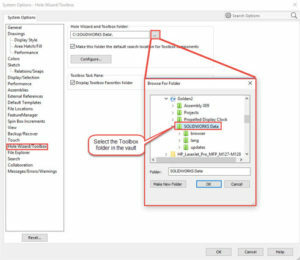 You can configure Solidworks to further manage Toolbox settings and that will be covered in future posts.